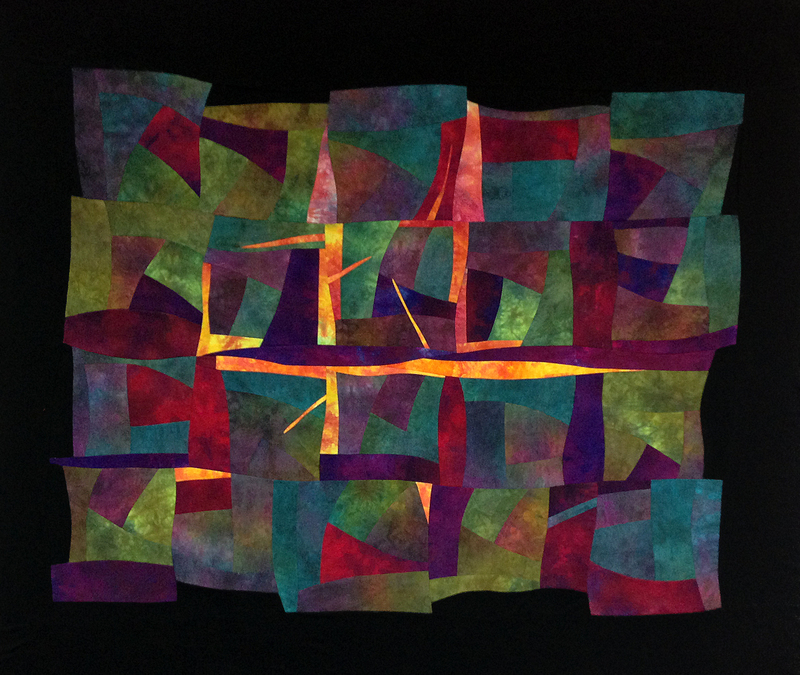 In honor of International Quilting Day I started working on an improvisational quilt. I made the blocks last night - that only took a couple of hours. I had no idea where this would go, but i put them on the design wall an slept on it. This morning this was my jumping off point. Today i spent the morning adding a few bits here and there and had the border on by 2:30pm. Whoo-hoo! I'm calling this one Firewall II. 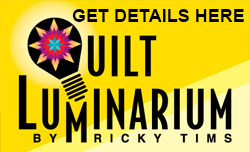 Don't forget that the rest of this weekend, over 140 shows are FREE if you login to The Quilt Show. If you are not a member, you can create a Free account and watch. In addition, there is a huge give-away so don't forget to register to win. Register here. 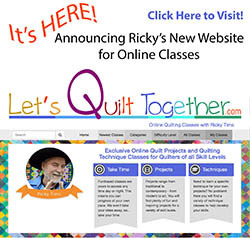 What did you do to celebrate International Quilting Day 2013? I made my first caveman quilt, Chantelle after midnight. A fire sure is burning deep inside. Love it!!!! 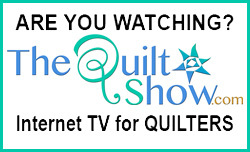 Watching the free show on The Quilt Show. 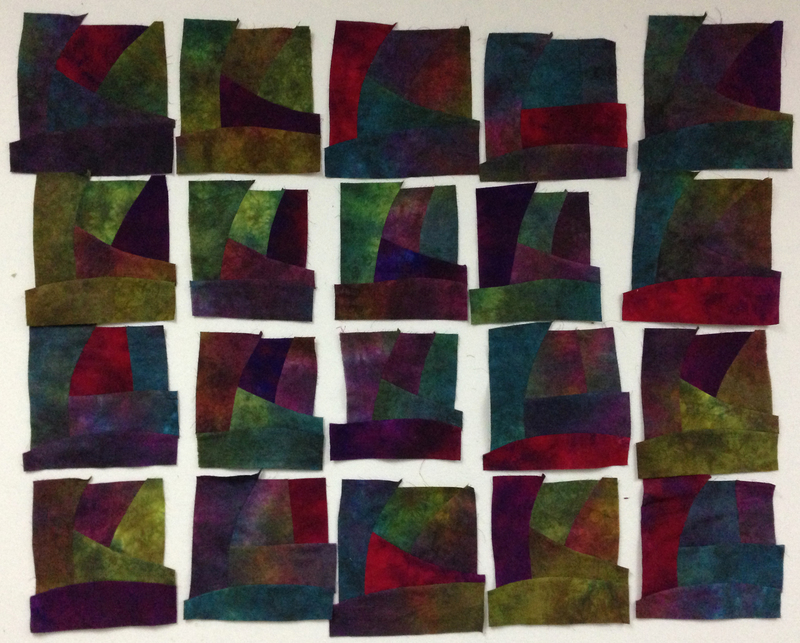 All the while quilting a hex quilt. I finished quilting a Grow Chart for my grandbaby, Maya! Just have to add binding and hang tabs and giraffe & zebra buttons to the tabs! It's a jungle theme! I'm getting rectangular eyes - during watching free shows at TQS. I love it, you are the best!